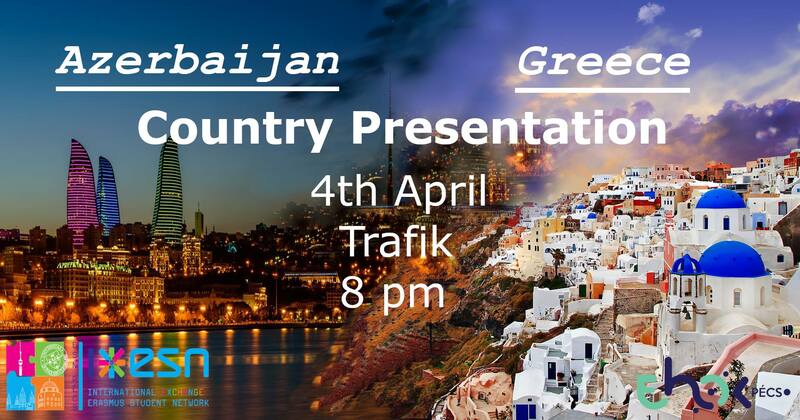 This Thursday Azerbaijan and Greece will be your hosts. They are ready to show you, how does the life look like in their countries, what are their traditions and cultures and many other interesting facts, that you probably wouldn’t know. You will see a short presentation about their countries, you can try your knowledge through quiz questions and we will have various dishes and drinks from the local cuisine at the food tasting which you can try.